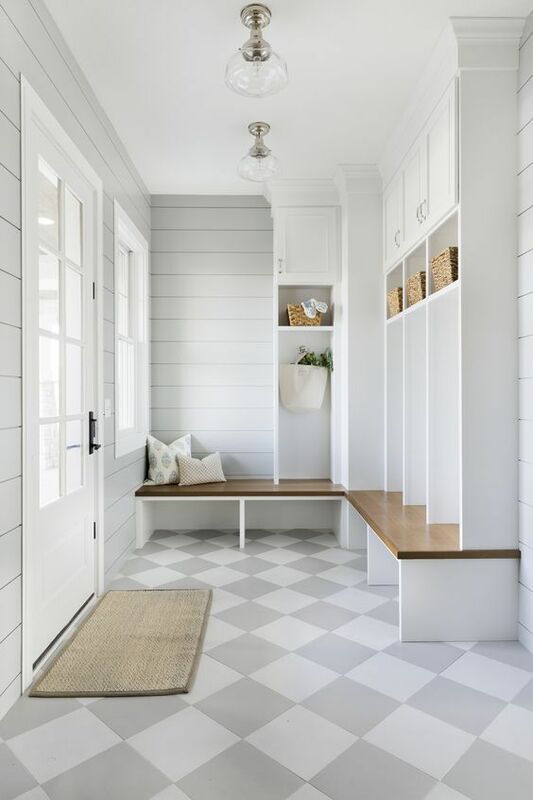 Have a room in your home that desperately needs some TLC but has you stumped as to where to start even with millions of inspiring ideas accessible on Pinterest (pretty please follow my boards!)? My little laundry room (which is located between the garage and center hall and is much too small to be considered a mud room!) is an embarrassment, and I keep thinking about tiling the walls in there to give it more importance and texture. 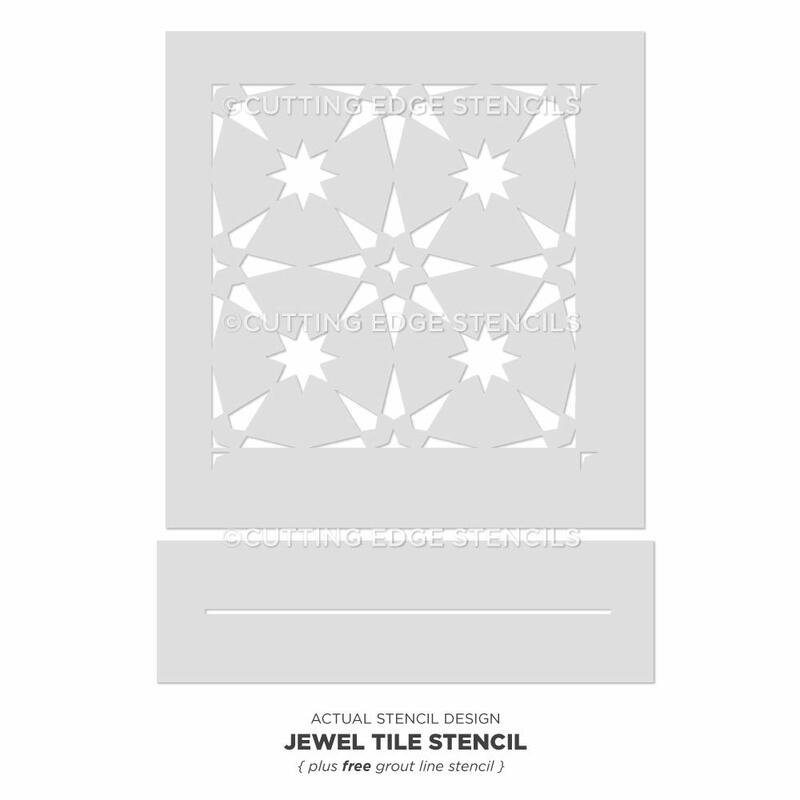 After spying a few projects using tile stencils to create a faux tile look, I’m toying with the option of first stenciling the walls. After all, if I still want to tile, I could always do that big project later! 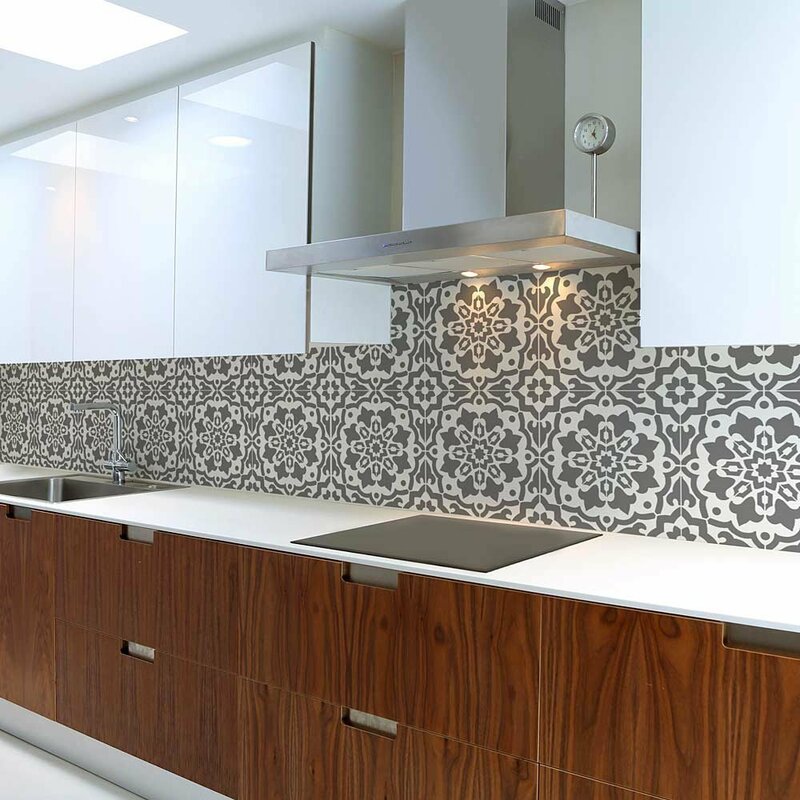 Cement Tiles Vs. Stenciled Tiles explores both options. I am so busted. Hello Lovely Studio. PIN ME! 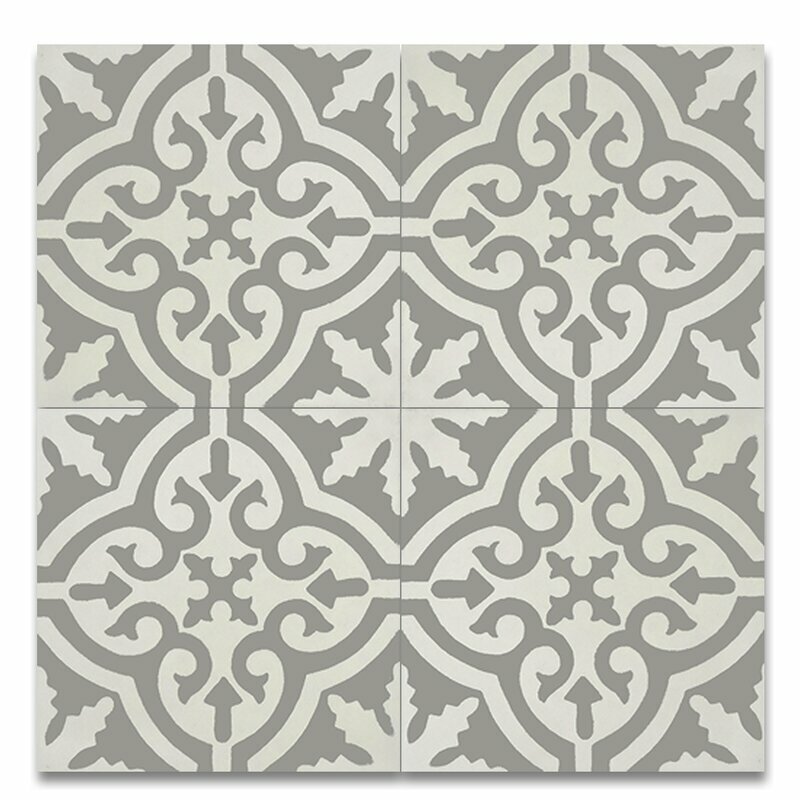 I think cement tiles began appearing on my radar with the dawn of one of my favorite home improvement shows: Fixer Upper. 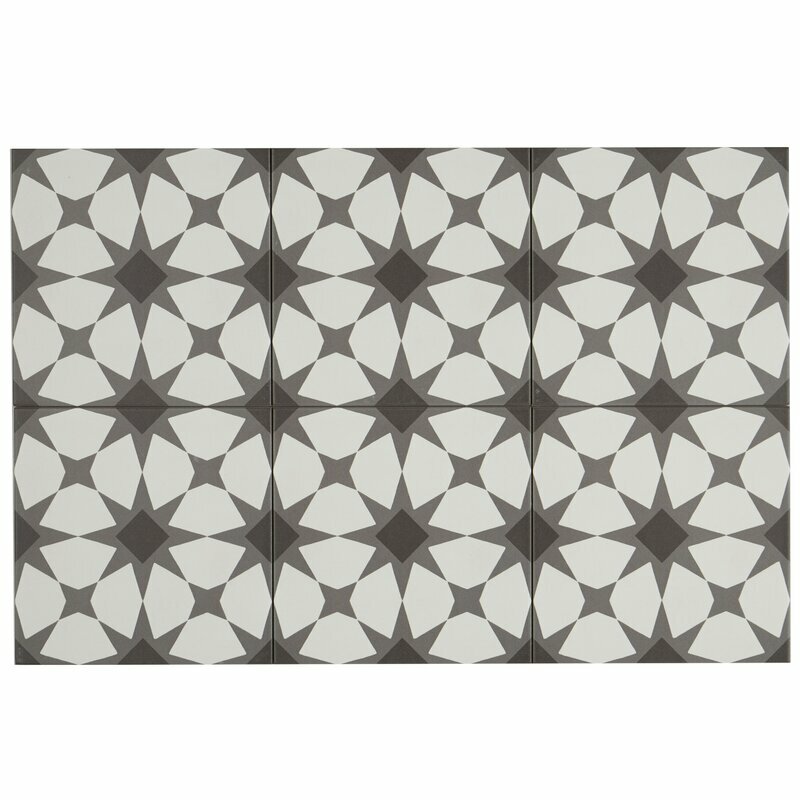 Did you see this episode where Joanna chose a plaid cement tile for the laundry room floor? 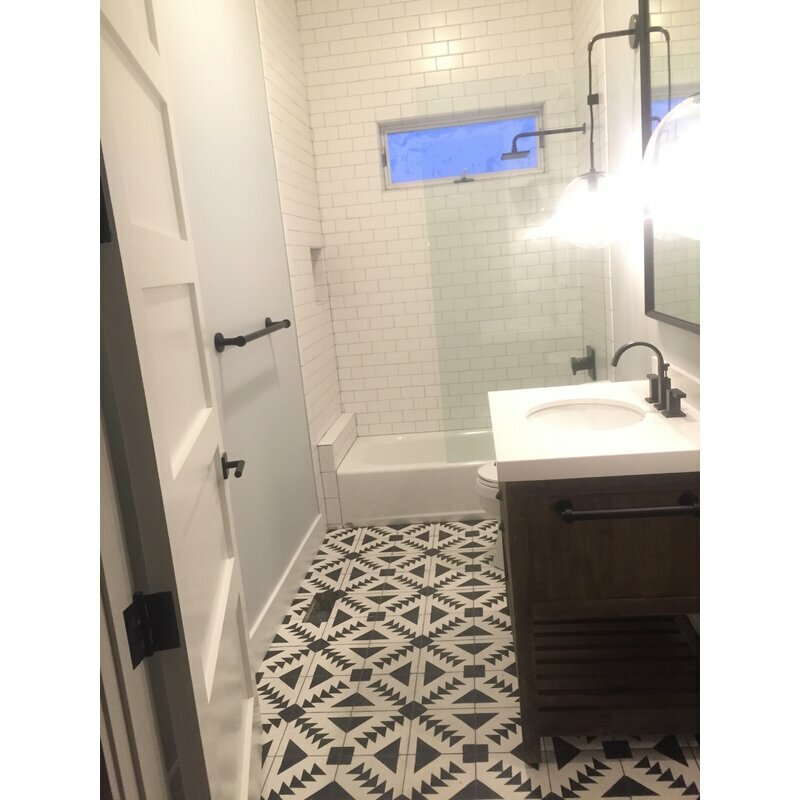 Cement tiles are popular for mud rooms, bathrooms, kitchen backsplashes, and more. What makes them a popular choice in a variety of custom design projects? The tiles are handmade and hard wearing. 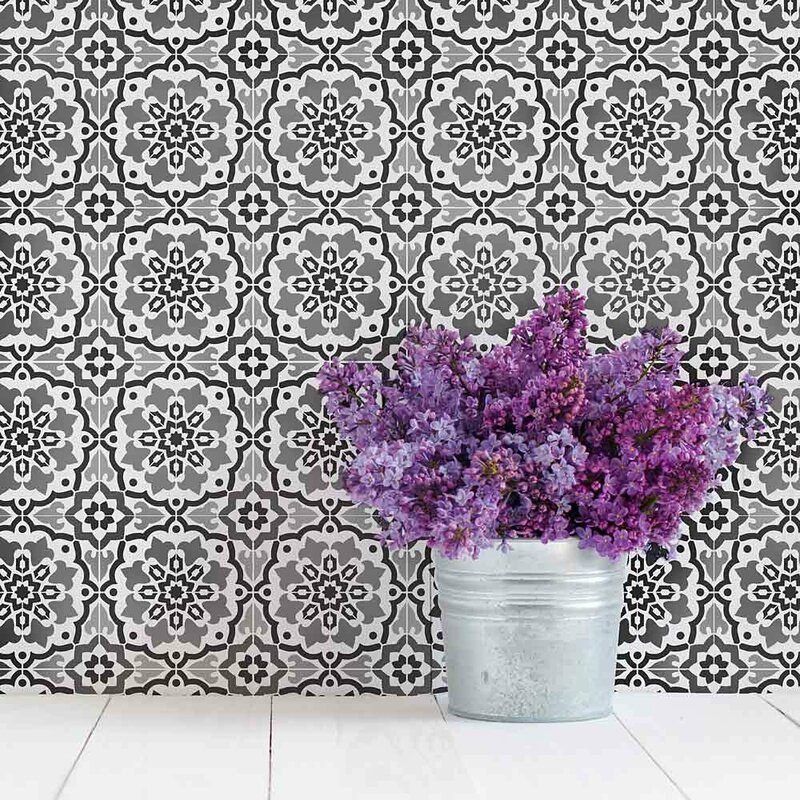 Cement tiles are easy to care for and live with. There are definitely some cons though so if you’re seriously considering them, read this article from HGTV. There are such gorgeous examples, and the one below is still my favorite! 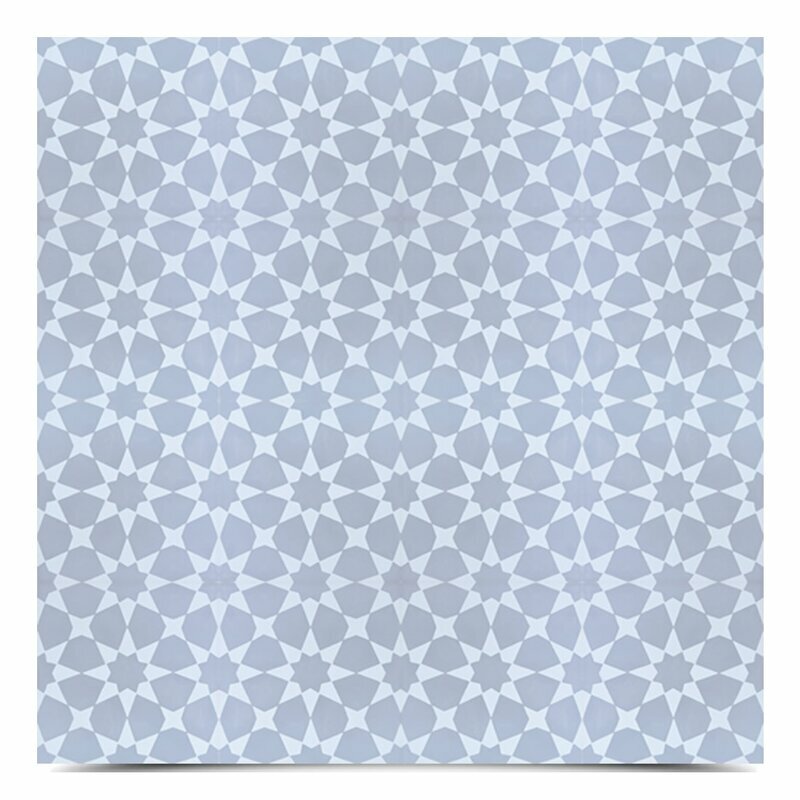 What a beautiful light grey tile! They Cost More & Once You Learn How They Are Made, You’ll Understand Why. 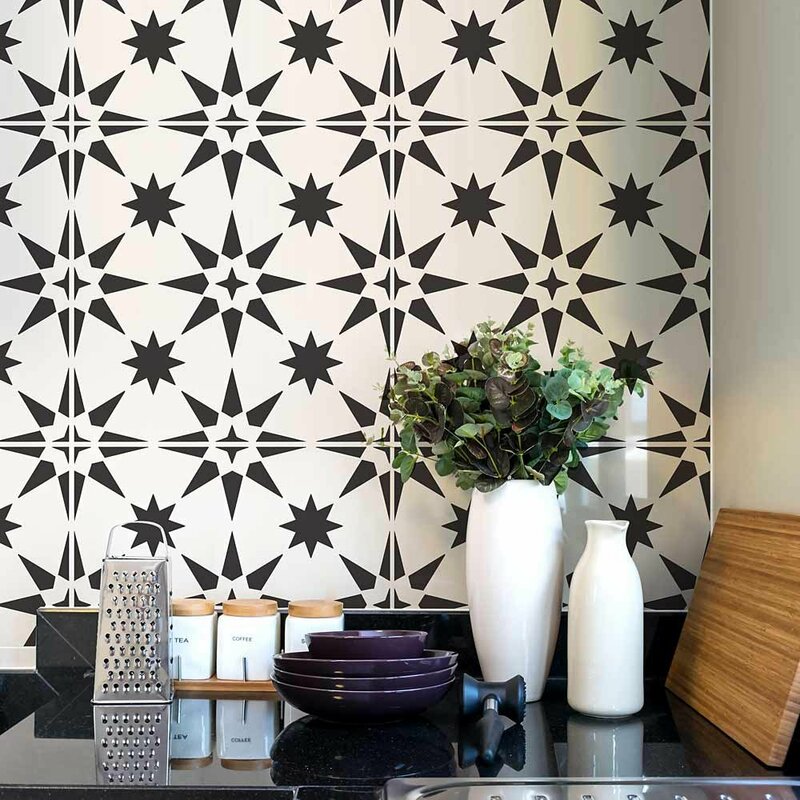 If you love the look of cement tiles but don’t want to break the bank, check out these possibilities that would fool anyone! They may not be handmade, but the price is right and the installation is standard. 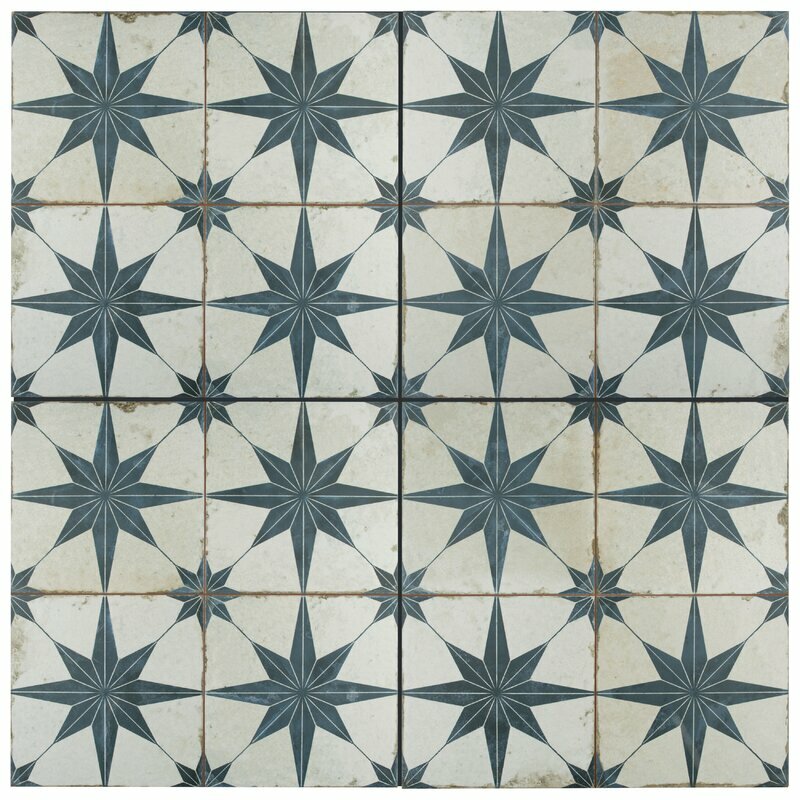 How fun is it that you can try out the effect of cement tiles without any mess or much expense at all! Just a few hours and a quality stencil may help you achieve the look! 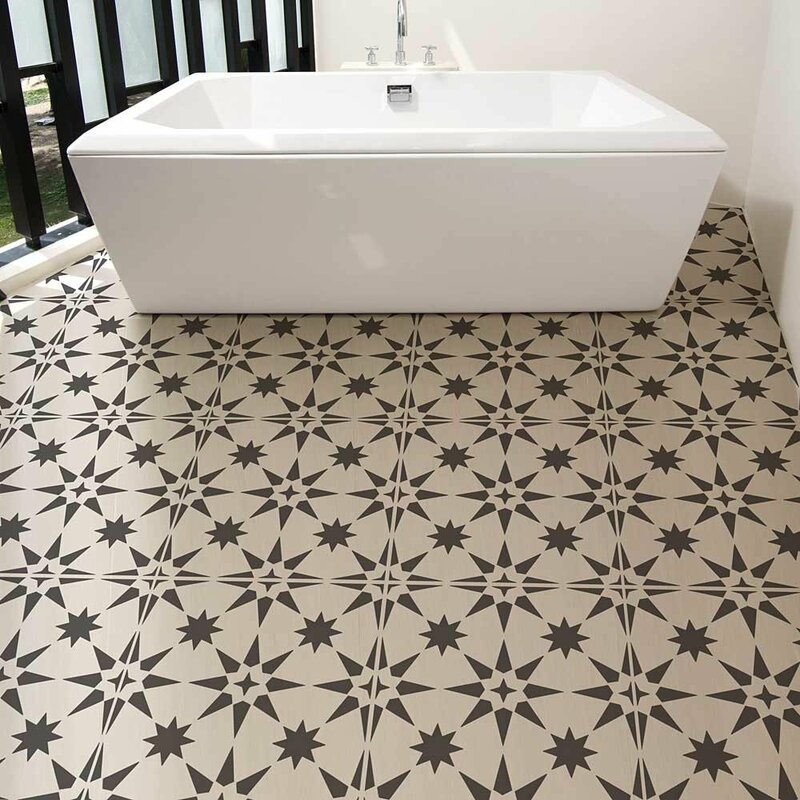 What is especially smart about going this route is that even though encaustic tiles have been around since the 1850’s, they are a trendy look right now. 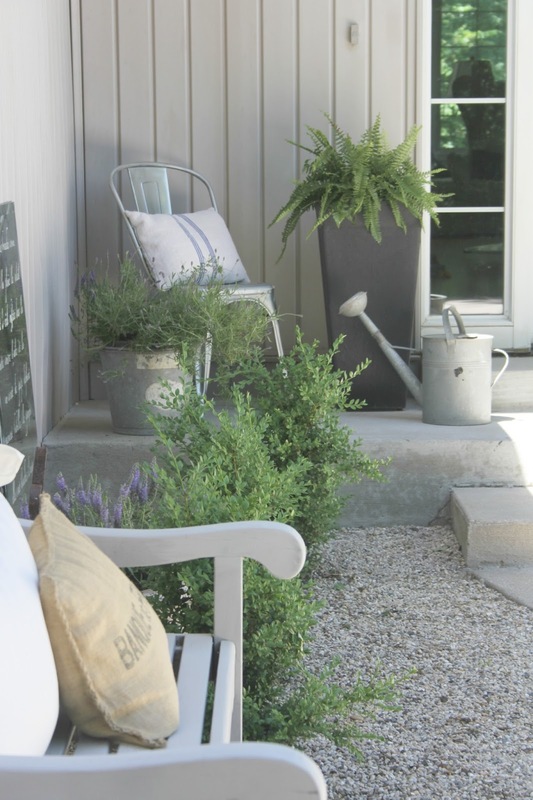 If the look falls from favor, it is as easy as painting right over the stenciled wall. 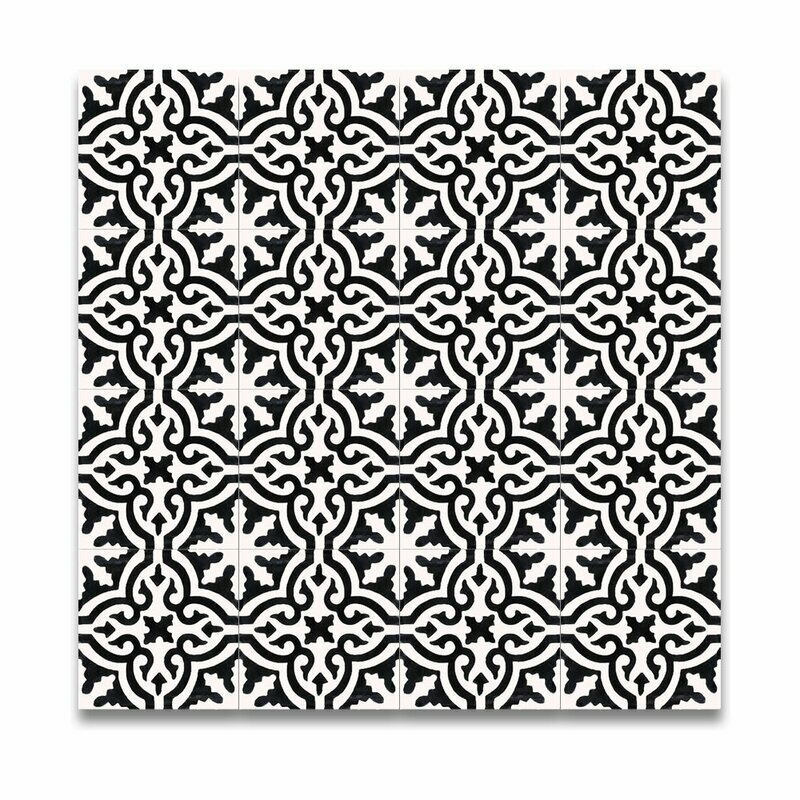 Here is my favorite stencil which mimics the look of real cement tiles. Charcoal grey paint to get this effect: RIGHT HERE. 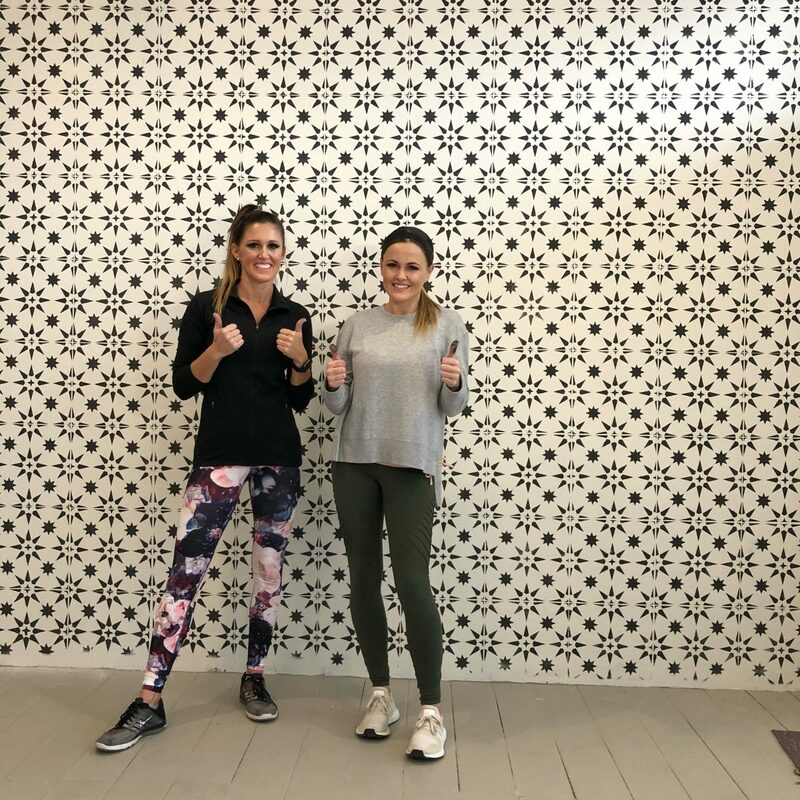 They don’t just make it look easy – it truly is as easy as rolling over a stencil with a little bit of paint – matching up registration marks – securing with painters tape – and repeating. Isn’t it a good looking wall which cost next to nothing!?! 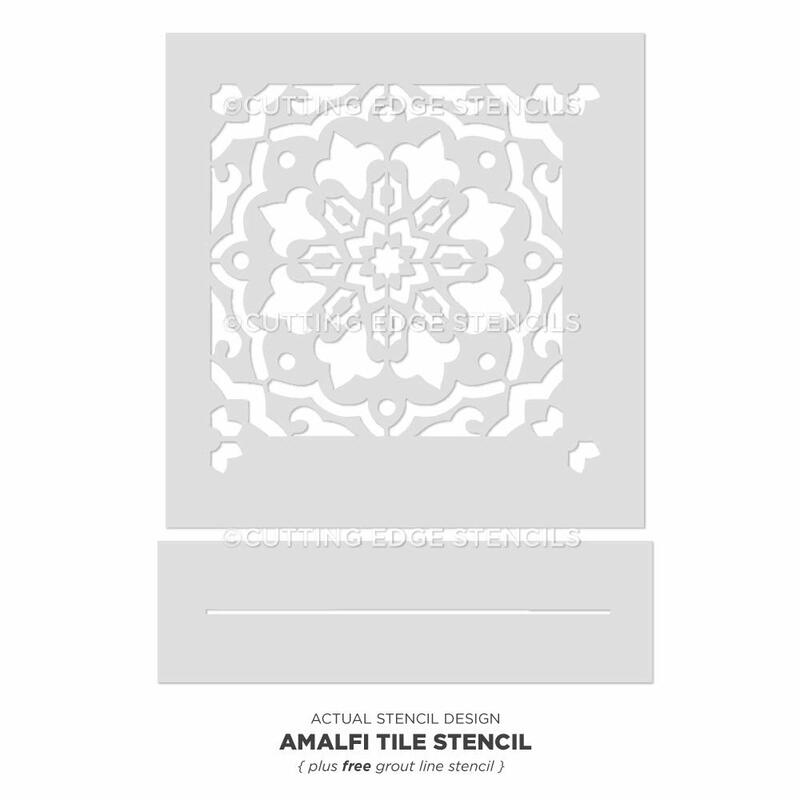 More Stencils To Get the Cement Tile Look! 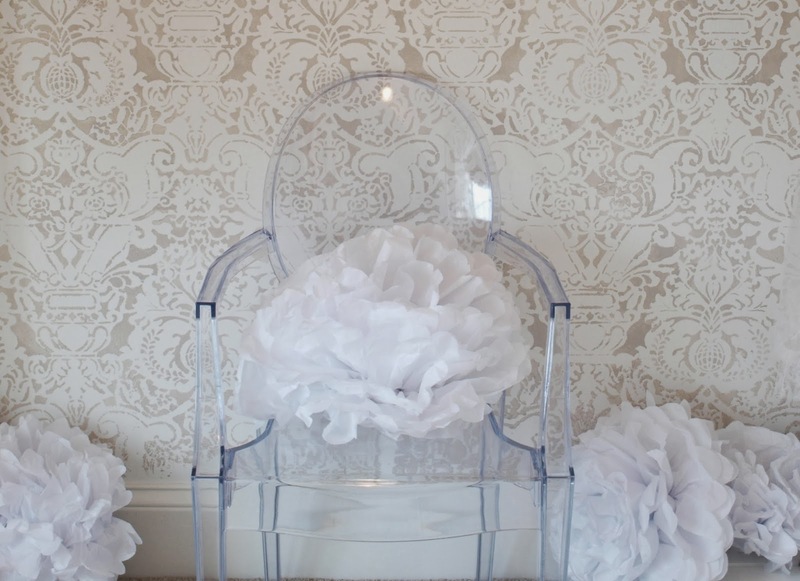 Need a Louis Ghost Chair or 6? I love them for desk chairs, extra seating, and outdoor entertaining. A cool beans bonus? They stack. Find them HERE. 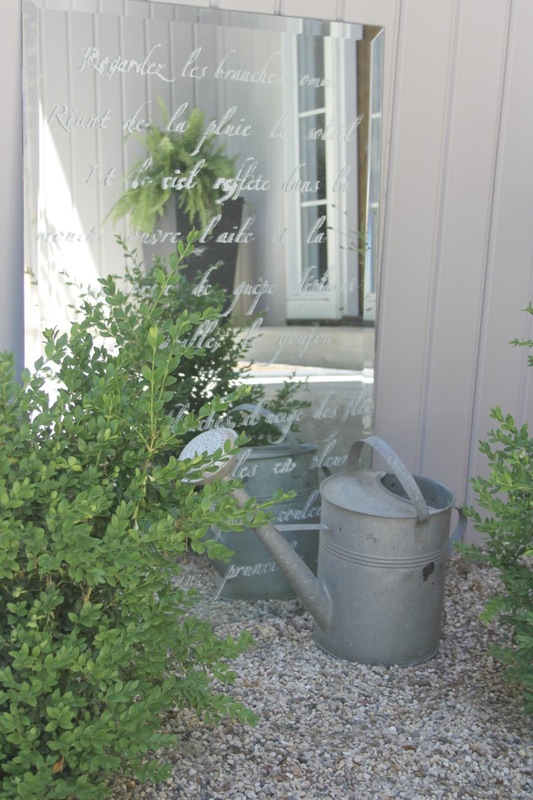 This old wall mirror came out of the main bathroom we demo’d…instead of a land fill, it wound up in our front courtyard for the birds to admire themselves! 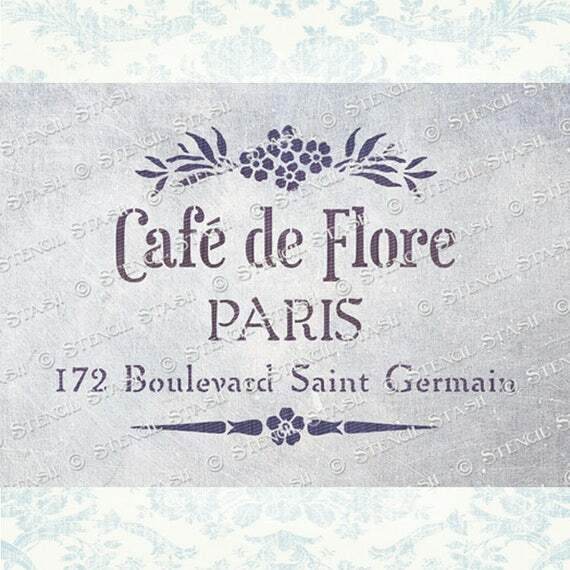 I used my Springtime in Paris stencil by Royal Design Studio. What a joy to watch creatures of the air and woods peeking at themselves in this mirror I keep outdoors all year long. Springtime in Paris stencil by Royal Design Studio. 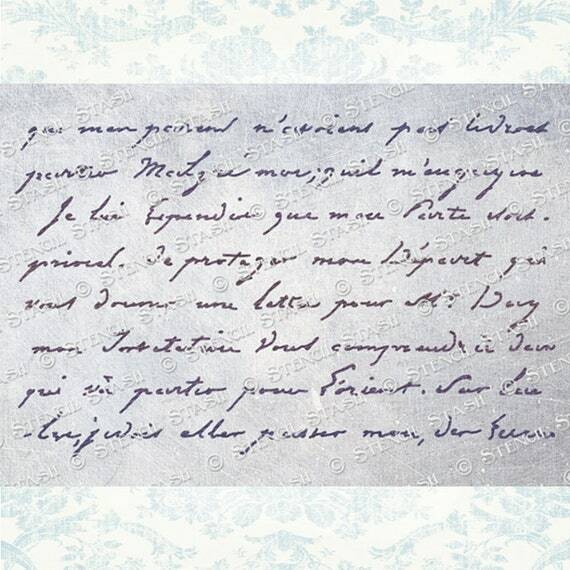 Script Stencils I’m Crushing On! 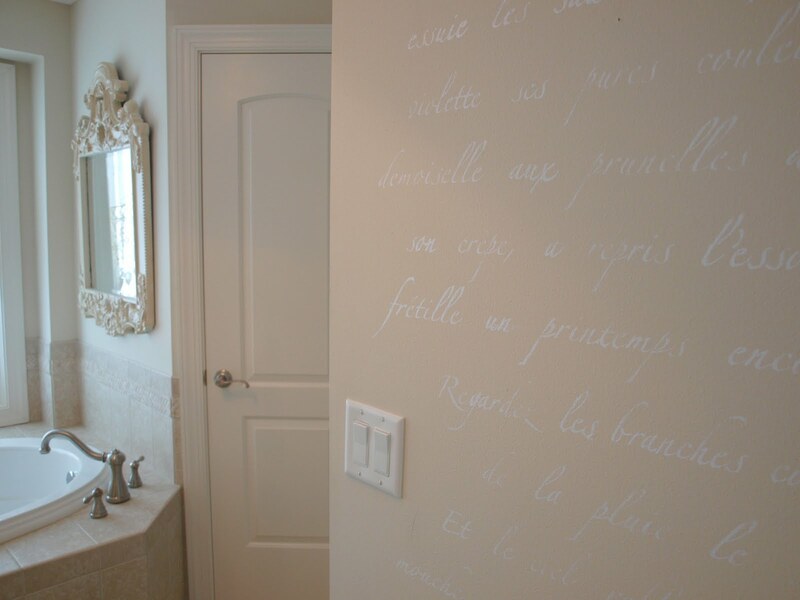 I have been working with stencils for various creative wall treatments since the early 1990’s, and stencils have come a long way! Script style stencils remain a favorite of mine, and this first example below is one I have also considered for either the laundry room walls or a wall in my studio. Lately, I have been obsessed with making simple custom pillow covers from vintage canvas fabric, and I love the idea of adding a vintage script label with a little paint (you can always add fabric sizing medium to paint on fabric). 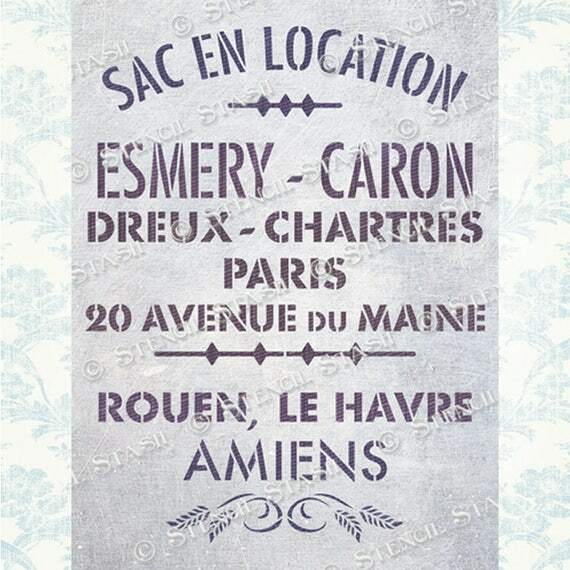 This Parisian inspired stencil can be used for a variety of projects – imagine a rustic wood box, a pillow case, a door, and of course, a decorative sign for the wall. If you have shopped for antique grain sacks from Europe then you know how pricey they are. 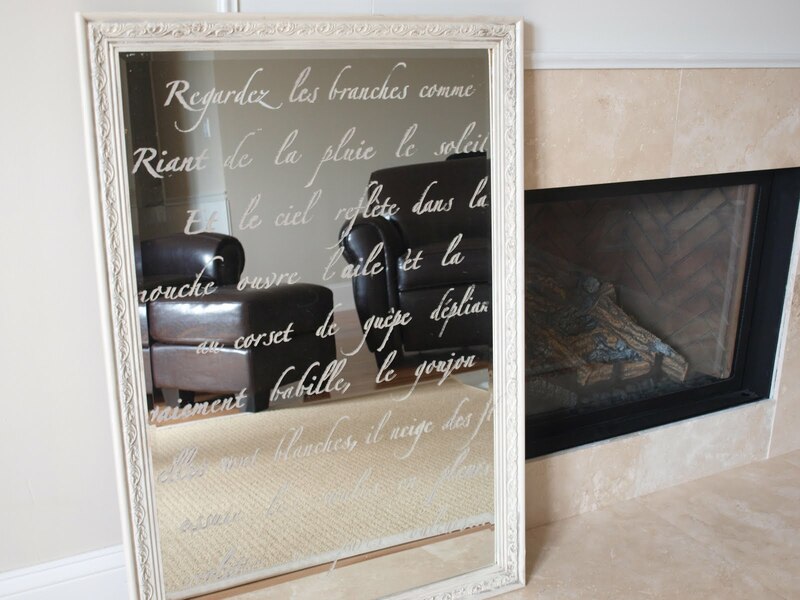 Here’s a low cost alternative to creating something suggestive of an antique. The lettering is so vintage in style and authentic looking! I will keep you posted on what I decide to do with my little laundry area and with these stencils I can’t wait to get my paws on! 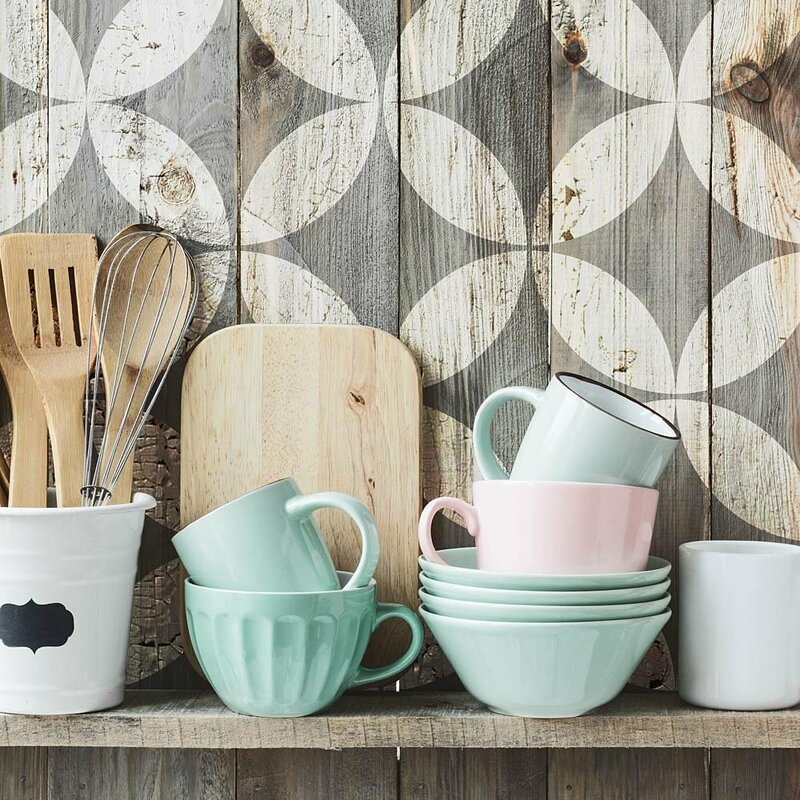 YOUR TURN: Have you used a stencil to transform a wall? 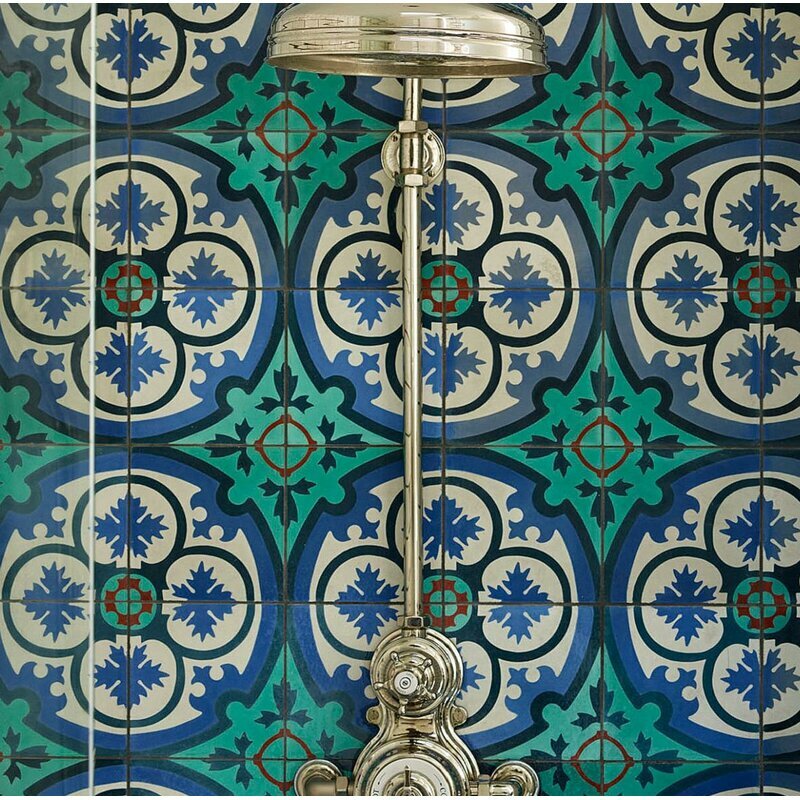 Have you used cement tiles in any of your spaces? p.s. 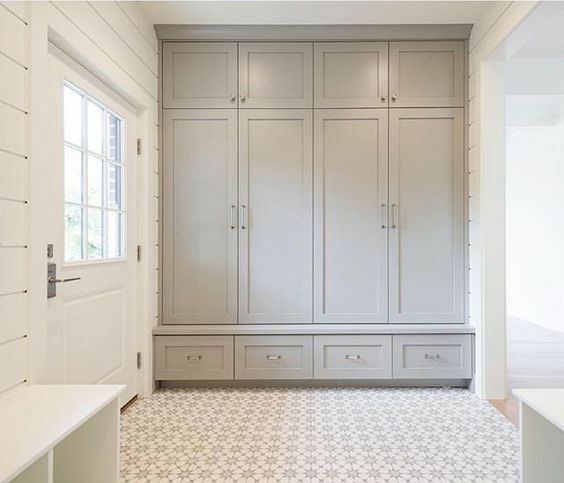 Find more inspiration for laundry rooms and mud rooms RIGHT HERE. Cheese Boards for Thanksgiving, Anyone? 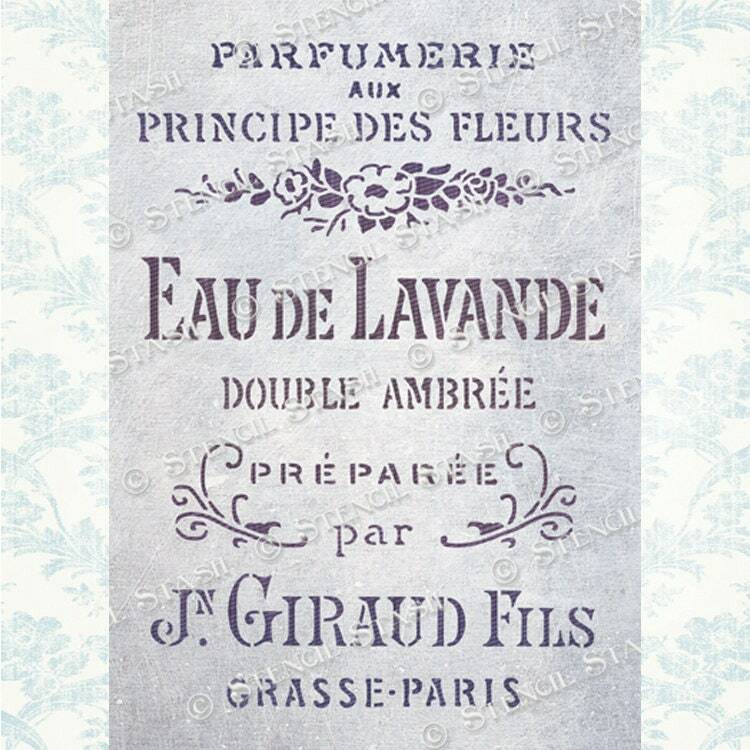 You have just solved my ugly powder room problem. Pepto-Bismol pink tiles must go. 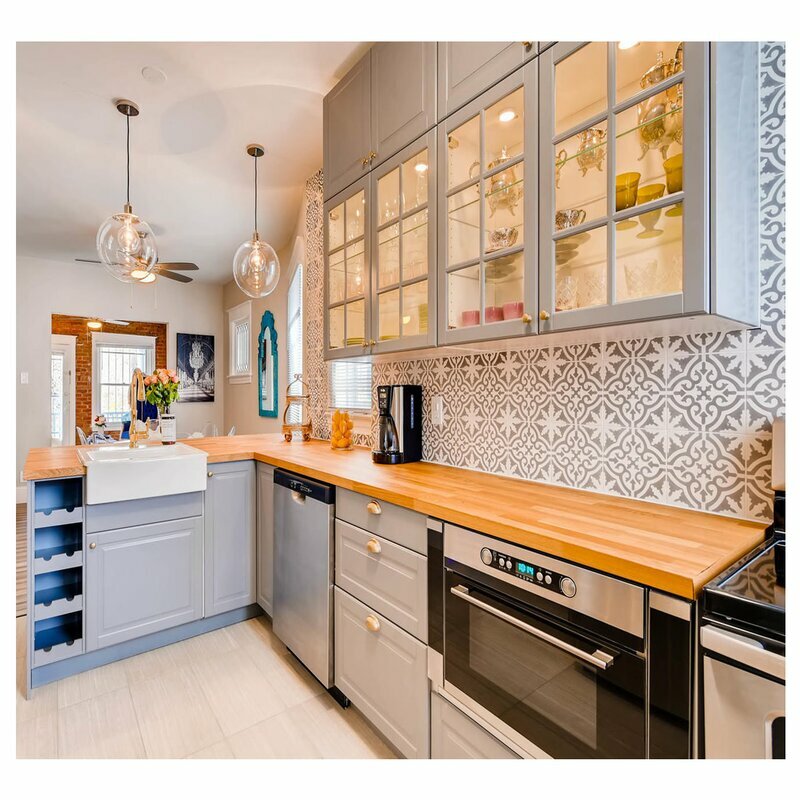 We went with “fake” cement tiles in our renovation because the real thing is expensive and more delicate, which seemed like a bad idea for rentals. 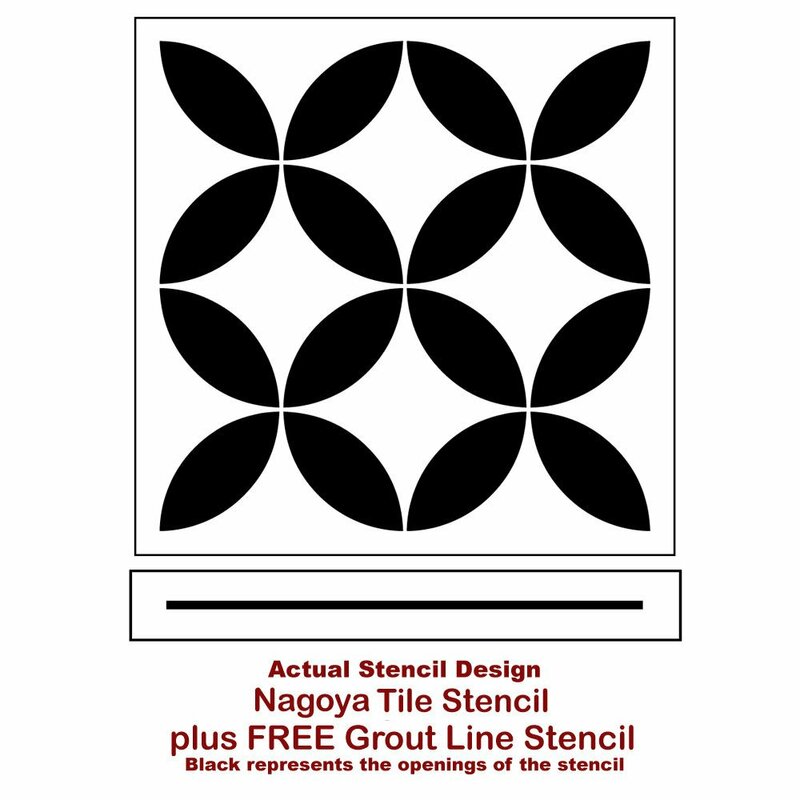 Just one question about stenciling. I noticed when they finish one section and move to another one, their tape goes right over the previous section; don’t you have to wait until the paint is dry before you tape over it? Just curious. It is adorable. 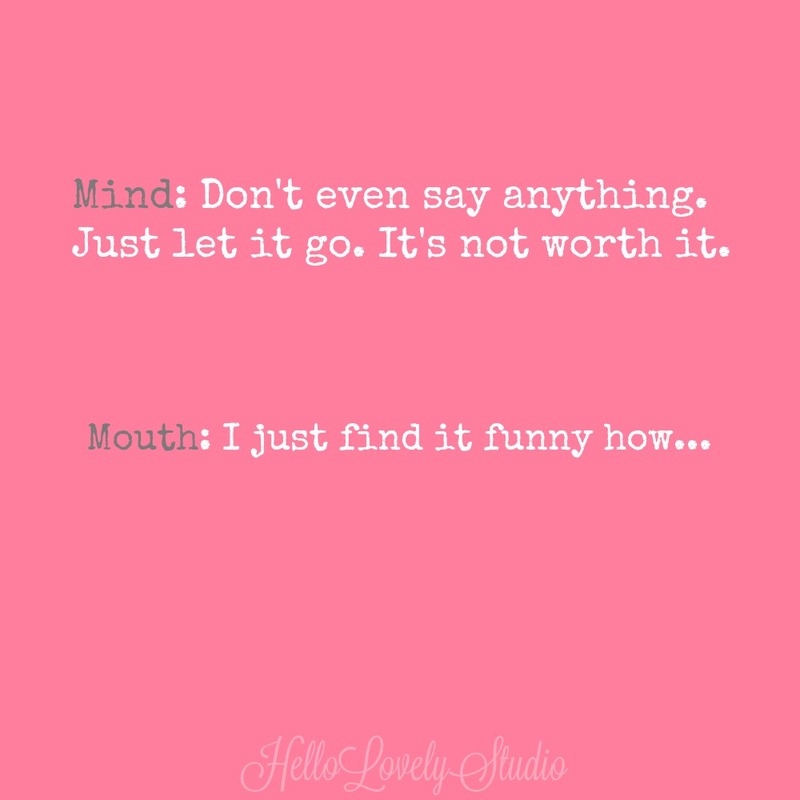 Great point. I’m guessing the video editing leaves that detail out. I do know from my own projects that there is so little paint on the roller/brush that it is like drybrushing and it dries very quickly. Chalk paint dries quickly as well compared to regular latex. 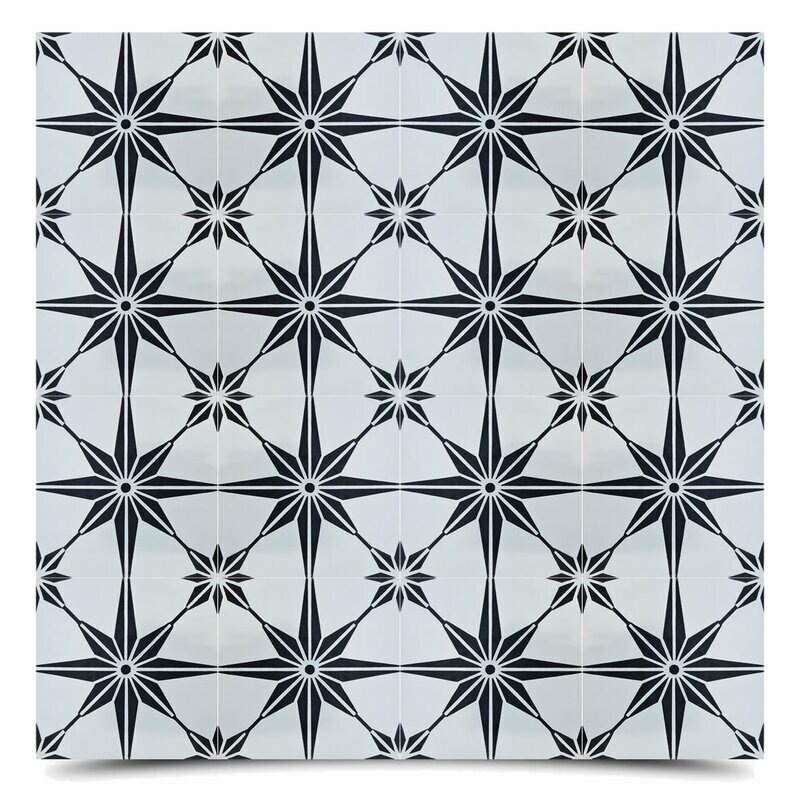 I love cement tiles and considered them for my laundry room. The fact that my washing machine vibrates with a heavy load, such as towels, prevents me from doing so. I believe it will crack them or the grout. 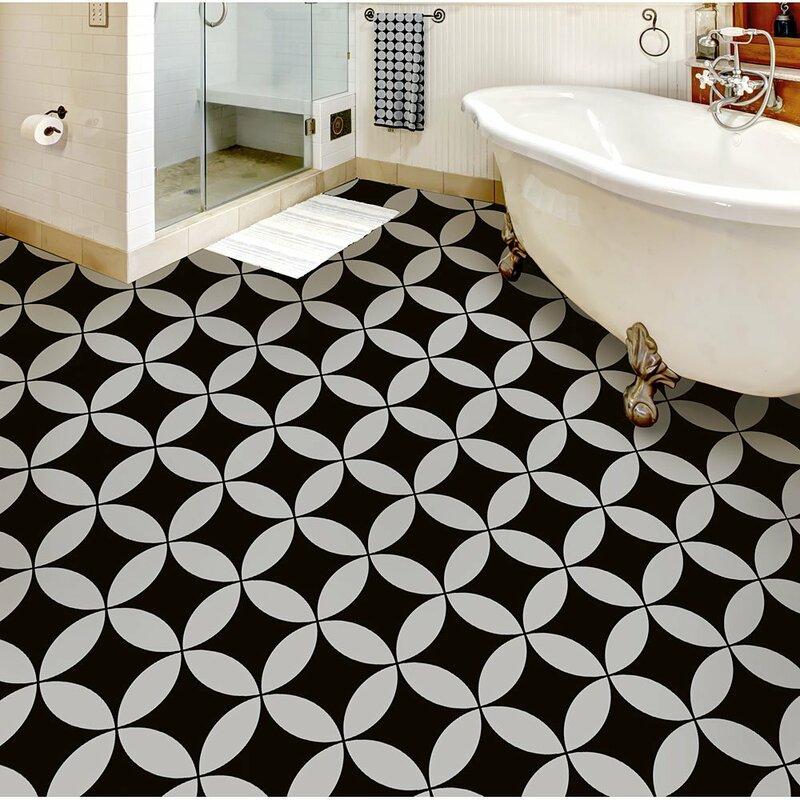 I wonder if there is good quality cushion floor that mimics tiles? I clicked on Follow My Boards and it said they didn’t exist. Thanks a bunch for letting me know about that link! Boo! I think I fixed it right up. I hear you about the noise level thing and not wanting to create a nightmare in the laundry room. 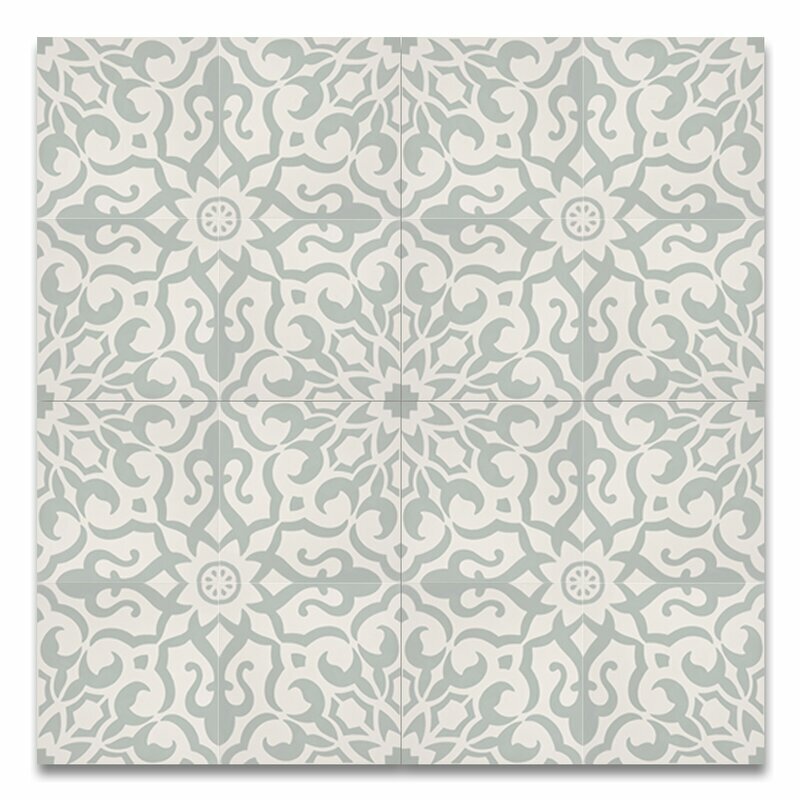 Cushion-y faux cement tile flooring sounds trippy imaginative to me! Maybe you discovered a gap in the marketplace! We have hardwood floors in the laundry room, and no complaints!